For Pierre Grech Pillow, every antique has an interesting story to tell. One of the rooms at Obelisk Auctions Gallery in Attard. Being one of the main thoroughfares in Attard, and probably one of the busiest in Malta, you wouldn’t think that Mdina Road would provide the backdrop for a quiet moment. And yet, when you enter Villa Drusilla, the traffic sort of evaporates into white noise. In the back garden, ducks play hide while seek in the shrubs and trees cast shadow puppets on the high walls. The silence is surprising. Villa Drusilla, an old baroque-era house, nowadays serves as the viewing gallery and auction house of Obelisk Auctioneers and Valuers. The noble setting and the vintage walls provide the right context for precious antique furniture, rare militaria, interesting collections and objects which tell the kind of stories that will keep you busy for hours. 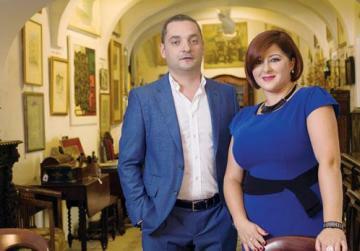 “We’re the only auction house in Malta with this kind of setting,” says auctioneer and valuer Pierre Grech Pillow. “By placing antiques in this setting – which we have lovingly converted and restored – our clients can see them in a context that befits them,” he adds. Grech Pillow has been in the antiques and fine arts business from a very early age and has gained valuable experience in all aspects of sales, from single, high-value lots to entire estates and rare private collections. “I’ve had plenty of experience in London, UK, which is probably the capital of auctions in the world. 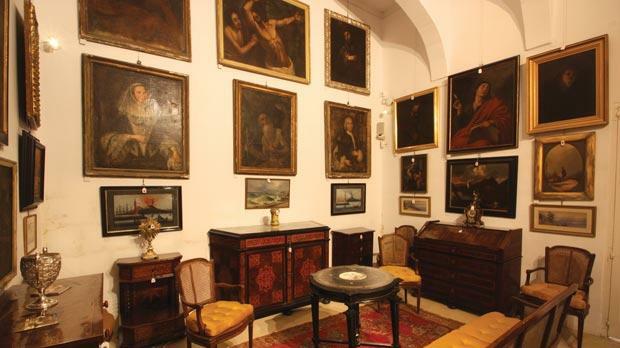 The auction houses there are all extremely professional, and I wanted to adopt their high standard levels to Malta. In recent years, Grech Pillow was entrusted with the auction of items of great value. In 2010, Obelisk auctioned items that belonged to former Prime Minister George Borg Olivier. And last June, Speed, a bronze sculpture by Maltese artist Antonio Sciortino, was bought by the Superintendent of Cultural Heritage during an auction by Obelisk Auctions Gallery. Speed went under the hammer for €160,000, a local record for a bronze sculpture. The latest Antiques and Fine Arts auction organised by Obelisk was the auction house’s 280th auction in seven years. 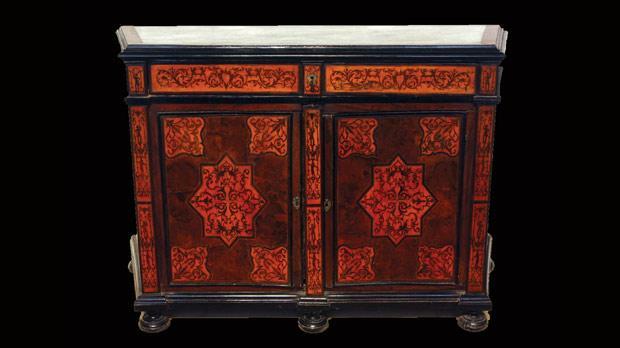 17th century Maltese cupboard on five bun feet. So what really determines the value and the price that an item attracts when it is auctioned? Grech Pillow is currently preparing for another two important auctions. The first, which will be held on Sunday, November 23, will present a selection of important vintage and latest pre-owned watches including Rolex, Patek Philippe, Cartier, Bulgari, Franck Muller, Audemars Piguet, Eberhard and Omega. Then in December, Obelisk will hold another Antiques and Fine Arts auction. Pierre Grech Pillow and Amanda Ciappara who present L-Irkant. Presented by Amanda Ciappara and Pierre Grech Pillow and produced by Liz Zammit for Studioseven, L-Irkant is the first programme of its kind on Maltese television. In its first season, the programme attracted a weekly audience of 32,000, according to the Broadcasting Authority survey. Also, a total of 1,700 valuable pieces were auctioned. L-Irkant also has an educational and informative element. 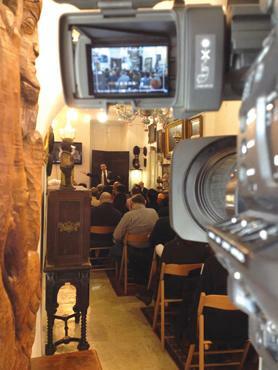 People can get their antiques valued by the programme’s auctioneer. Moreover, L-Irkant explores the world of restoration through features and interviews. L-Irkant is broadcast every Sunday between 6.45pm and 7.45pm on TVM.